I won’t belabor the Thorns’ 2-0 win over Washington, having spent most of the game discussing it on Twitter with everyone who’s likely to read this post. 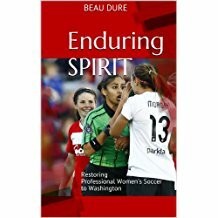 But I should address the big question on everyone’s minds: Wouldn’t the Spirit be much better if they had some cloned hybrid of Alex Morgan, Christine Sinclair, Abby Wambach, Mia Hamm and early-90s Michelle Akers at forward? Well, yeah. But let’s talk realistically here. … and had a really hard time generating chances. And so Twitter was once again agog at the obvious disparity in forward allocations between Washington and Portland. The Thorns got one goal each from the dynamic duo of Christine Sinclair and Alex Morgan. Sinclair’s goal, a beautiful curling shot that left Chantel Jones no chance, left the Spirit chasing the game. While the Spirit pushed everyone forward, bringing in the usual late-game subs of Caroline Miller and Jasmyne Spencer, Morgan scored on the counter. But here’s what people forget — the Thorns are good all the way up and down the roster. If you suddenly transposed Miller and Sinclair with the Spirit’s front-runners, would Washington win this game? Probably not. Maybe Tiffany McCarty wasn’t as sharp as she was on Thursday, and maybe it wasn’t Stephanie Ochs’ best game. But the Thorns really don’t give up a lot of chances. They’ve only conceded four goals in seven games. By the time Miller and Spencer came on, Portland was clinging to its lead. Miller had an instant impact as always, and Ochs forced Karina LeBlanc to make a tough save late, but the Thorns weren’t going to break easily. So for the Spirit, this was another moral victory of sorts — more proof that they’re not the pushovers people thought they would be. At least after the road trip, they have an actual victory in addition to the moral victories. What next? Should the Spirit do something to shore up the attack? 1. In many games so far, the Spirit hasn’t had enough possession to worry about the forwards. Against Portland, they had the ball for a while but didn’t find a way through. The problem wasn’t that the final touch or the final pass was lacking — it was the pass before that. 2. Who’s available? The Spirit has a free-agent spot remaining but has pretty much promised it to a defender we’re currently calling Unnamed Euro. Unless that deal unravels, the Spirit would likely have to make a trade to get a quality forward. My guess is that the Spirit would be better off waiting it out until the forwards pick up that extra bit of mental speed they’ll need to compete. One idea that probably won’t fly: As much as another NWSL team might want goalkeeper Chantel Jones after her strong performance today, the Spirit would surely demand a lot in return, especially with Ashlyn Harris banged up and due for a national team call-up later in the season. A solid backup goalkeeper is not a disposable asset in this league. Soccer is a sport that tests everyone’s patience, but I think that’s what Spirit fans will need. Eventually, we should see Miller or Ochs find the net. And as I’ve said a few times, you still haven’t seen Colleen Williams, who was injured in preseason. Until then — fun team to watch, isn’t it? Glad to be writing a book about them. Agreed. Fun to watch; great mix of experience and youth which will gel and have legs for latter half of season. I find myself enjoying watching the Spirit more than the Freedom. The Freedom were an immensely talented team who never seemed to make the most of their best players – how did a team with Bompastor, De Vanna, Sawa, and Wambach only barely make the playoffs in their two years of competition? The Spirit at least seem to make the most of who they have. The problem is that that doesn’t seem to amount to enough to overcome the better NWSL teams. And it remains to be seen whether Miller, McCarty, and Ochs will ever improve enough to be compared with the league’s elite forwards. A bigger and more realistic question than the one about Kai would be what happens when (we hope) Jordan Angeli shows up? She can play just about anywhere – should she go up top, in the middle, or in the back? I pretty much agree with your thoughts. I think we have to give McCarty, Miller, and Ochs some time to mature as footballers. We’ve seen flashes from each, but they’re far from polished. I will say that Miller was pretty inspired during her appearance as a sub, flying all over the place and pestering the Portland midfield and defense; it was exactly the type of boost Washington needed. Ochs has not impressed this year and I’m not sure why she’s having such a tough time. From her poor decision-making and poor first touches to her seemingly zoning out at times (failing to make anticipated runs or fight for headers), the game just looks too fast for her at the moment. McCarty seems to disappear for long stretches of the match, though when she does get a touch on the ball there are rarely any supporting players giving her options up top. I’d love to see them push their wings up into the attack more aggressively (I wouldn’t mind a 4-3-3 either, they’ve got a solid defense and a good enough midfield – Matheson, Lindsey, Roberts, and Wells(!) – that they wouldn’t be conceding too much in mid or at the back). And I do love seeing Krieger marauding all over the field. I have been far more impressed with Oochs than McCarty. McCarty takes long stretches of games off. She has a ton of speed, yet hardly does more than jog. There have plenty of through balls from the mid field that she didn’t even try to chase. She doesn’t chase and harrass opposing backline players when they have the ball. She pulls up well before the keeper gets to a ball even if the keeper needs to kick it away. She doesn’t try to force people into mistakes. 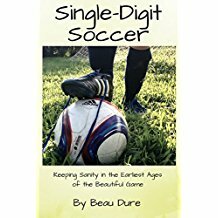 She lets a keeper just stop with the ball at her feet and decide which direction to play it away. McCarty rarely makes runs when the midfield has the ball and is moving towards her. Oochs is battling for he ball often in the midfield. She tries to make positive movements with it, either going at the defense or going wide and trying to cross. As for the premise of the article. I disagree. With the positive attitude that the Spirit are playing with, with them trying to move forward on offense and attack, even though their forwards often do nothing with the ball, I believe that if they had either of Sinclair or Morgan they would score more goals and win more games. The Spirit have plenty of possession. They bring the ball through midfield often. They were in the Portland 18 yard box at least four times in this game. The difference was finishing by Sinclair and Morgan. Portland has players that can score and believe they can score and will work to make something even when their midfield gives them nothing. The Spirit have a midfield getting the ball up there and forwards who are not competitive at this level yet. I don’t have anything against Oochs, McCarty, or Miller. Oochs and Miller have great attitudes. They are definitely all trying to make something happen. They may grow into solid forwards in this league. But the difference between a team with 2 of the best forwards in the world, and a team with 3 rookie forwards is vast. I don’t think there is a conspiracy for the Thorns to win. I think the players ended up where they wanted to be. I do think there is a major lack of solid forwards in this league, especially in allocation. I don’t think the league owed the Spirit Morgan or Sinclair. But I think the league owed the whole NWSL not to have them both on one team. Especially with 3 teams severely lacking in solid forwards all running losing records after getting no forward allocations. This isn’t all on the allocation though. The Spirit made their choice not to go after any free-agent forwards. They should have had at least one proven professional to lead the younger players and provide a experienced base for their attack. They could have brought back Lianne Sanderson. They could have looked to Australia, Asia or Europe as others have. I have no idea why they are waiting on another defender from Europe. I forgot to add. What happens when the constand frustration of getting nothing for their efforts starts to take a mental toll on the team. Especially on Krieger, Matheson, and Lindsey. They are working their asses off every game playing both ends of the field trying to make this work. Most if not all of the players are working hard and trying to fight. But what happens when the long time pros who are the engine of this team start to burn out? The best thing for the Washington Spirit right now would be to forget about unknown European defender and go for a striker. The striker would not even have to be top notch, just good enough with enough experience. Our young strikers are not showing results and it is not because they are not good, it is simple because they are too young. 1) It is Okay to charge the ball even if you think the Goalkeeper will get there first. 2) Not to second guess and just shoot. 3) They are entitled to score. 4) Sometimes it is okay to be selfish in front of goal. 5) Sometimes soccer is a contact sport do be afraid of a challenge in the offensive box. (PS: i do not want anyone to get hurt). I am still very proud of this team, they are working with what they have. I want to second what Collete and others have said. Even with my commentary, I am extremely proud of the team. I have gone to and enjoyed every home game. I am very happy that even with scoring woes they are not trying to park the bus. I think they have had more solid possession than they are getting credit for. The young forwards have a ton of potential. I just think you have to balance potential with something proven. Why are you wondering about Kai? You just opined (wrongly) that having Morgan and Sinclair on the Spirit side wouldn’t have mattered last Sunday. Anyway, I have no faith that Kai’s 2 years away from soccer (playing rugby), and coaching or whatever else she is up to, will give her the ability to be effective at this level. And the same for Angeli. Sorry, 2 years away, with a serious injury, is huge to overcome, especially midseason. Fans should not be overly critical of Miller, McCarty, and Ochs. 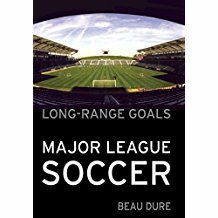 If you looked at Morgan, Leroux, and Press, right out of college, they all lacked effective hold-up skills (winning balls, holding, laying off, etc.). College soccer just doesn’t force good forwards to develop this skill, so it is presently lacking. And thus, there is not enough connection between the front line and other teammates. That’s what’s needed for the Spirit to create lots of quality chances — a true connection, and combination play, in the final third, between the front line and the midfield and backs. (Ochs is probably the best at this, among the three). In other news, it was nice to see Wells finally playing centrally in midfield on Sunday, instead of the right or left flank. That move is going to help out the offense.